One would, on the face of it, think that raising the minimum wage would help workers (more money). But if economists just go with the obvious, what does their job amount to? So they have to be counter-intuitive, which—oddly—is not always correct. The dire warnings about minimum-wage increases keep proving to be wrong. So much so that in a new paper, the authors behind an earlier study predicting a negative impact have all but recanted their initial conclusions. 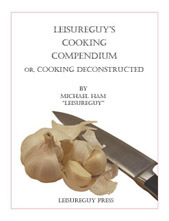 However, the authors still seem perplexed about why they went awry in the first place. Those ideologically opposed to mandated minimum-wage increases freaked out when a Seattle pizza parlor closed. Meanwhile, they ignored data showing Seattle-area employment in the restaurant industry on the rise. The critics even blamed Seattle’s minimum wage law for unemployment in suburbs not covered by Seattle’s laws. Despite their dire forecasts, not only were new restaurants not closing, they were in fact opening; employment in food services and drinking establishments has soared, as the chart [above] shows. Much of the hand-wringing was based upon a deeply flawed University of Washington study. As we noted in 2017, the study’s fatal flaw was that its analysis excluded large multistate businesses with more than one location. When thinking about the impact of raising minimum wages, one can’t simply omit most of the biggest minimum-wage employers in the region, such as McDonald’s and other fast-food chains, or Wal-Mart and other major retailers. These are the very employers that were the main target of the minimum-wage law; indeed, the law established an even higher minimum wage of $15.45 an hour for companies with 500 or more employees. There were two other glaring defects in the first study that are worth mentioning. The first is that its findings contradicted the vast majority research on minimum wages. As was demonstrated back in 1994 by economists Alan Krueger and David Card, modest, gradual wage increases have not been shown to reduce employment or hours worked in any significant way. Ignoring that body of research without a very good reason made the initial University of Washington study questionable at best. Second, there potentially is a problem with having a lead researcher — economist Jacob Vigdor, whose affiliations among others include the right-leaning Manhattan Institute — whose impartiality is open to question. I don’t wish to suggest people cannot have opinions, but researchers need to be open-minded. This especially true in fields like economics and public policy, where belief systems and political affiliations can have an outsized impact on objectivity. 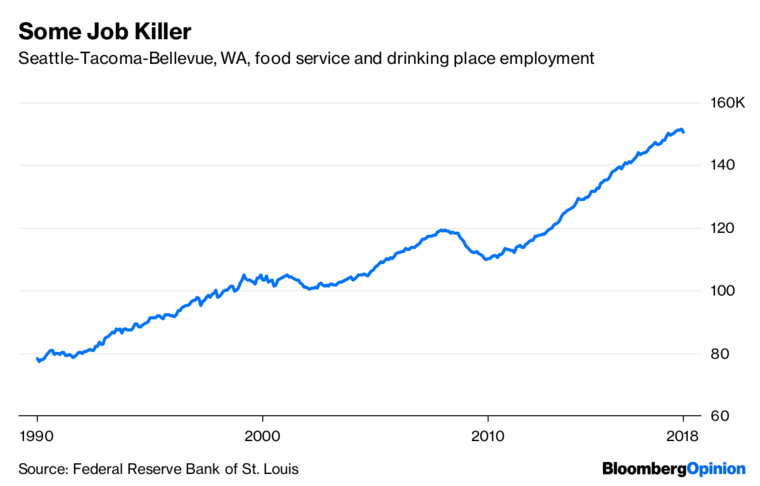 Now of course, we should consider the argument that Seattle’s economic growth has been so strong that it overwhelms any negative effects from the higher minimum wage. No one should ignore that possibility and we will be among the first to acknowledge that this could be the case. We may never know for sure, because in economics you don’t get a chance to run control experiments; you only have the facts at hand. But we can’t emphasize enough just how wrong many of the initial analyses of the wage increase have been. Cognitive dissonance is a powerful force. If your ideology includes the belief that all government attempts at raising living standards are doomed, then of courseyou are going to be against mandated minimum wages. . . The towns and villages that have a Nazi problem form a seemingly endless list now. It doesn’t stop at Chemnitz or Dresden. Looking at Europe more generally, it’s clear that fascism must be fought at a grassroots level – and that means being there, physically. . .
Continue reading. There’s more. Is it coming to the US as well? Nora Ephron once wrote a brilliant essay about the trajectory of her and many other people’s infatuations with email, from the thrill of discovering this speedy new way of keeping in touch to the hell of not being able to turn it off. I’ve come to feel that way about the whole of the internet. What a glittering dream of expanded knowledge and enhanced connection it was at the start. What a nightmare of manipulated biases and metastasized hate it has turned into. Before he allegedly began mailing pipe bombs to Barack Obama, Hillary Clinton and others, Cesar Sayoc found encouragement online — maybe not in the form of explosives instructions, but in the sense that he could scream his resentments in a theater that did the opposite of repudiating them. It echoed them back. It validated and cultivated them. It took something dark and colored it darker still. ….I don’t know exactly how we square free speech and free expression — which are paramount — with a better policing of the internet, but I’m certain that we need to approach that challenge with more urgency than we have mustered so far. Democracy is at stake. So are lives. I realize that this might not be the most opportune moment to persuade you otherwise, but I’d like to offer a far different take. I once wrote that the internet makes smart people smarter and dumb people dumber. Likewise, it might very well make good people better and bad people worse. But on average, that doesn’t mean the world is a worse place. So why does it seem so much worse? That’s pretty easy: the internet boasts an immediacy that allows it to pack a bigger punch than any previous medium. But this is hardly something new. Newspapers packed a bigger punch than the gossipmonger who appeared in your village every few weeks. Radio was more powerful than newspapers. TV was more powerful than radio. And social media is more powerful than TV. Contrary to common opinion, however, this has little to do with the nature of these mediums. Sure, they’ve become more visceral over time: first words, then pictures, then voice, then moving images, and finally all of that packaged together and delivered with the power of gossip from a trusted friend. But what’s really different is how much time we spend on them—and by this I mean the time we spend on news, not crossword puzzles or Gilligan’s Island. We are addicted to our smartphones, and that means we spend far more time absorbing news than we used to with TV or radio. There’s the news we actively seek out. There’s the news we get after acccidentally clicking on something else. And then, just to make sure we don’t miss one single thing, there’s the news that’s forced on us because we’ve set up our smartphones to buzz and beep at us when something happens. Does all this mean that there’s more news than ever before? Of course not. Does it mean that there seems to be more news than ever before? Oh my, yes. And that brings me circuitously to my point: broadly speaking, the world is not worse than it used to be. We simply see far more of its dark corners than we used to, and we see them in the most visceral possible way: live, in color, and with caustic commentary. Human nature being what it is, it’s hardly surprising that we end up thinking the world is getting worse. Instead, though, consider a different possibility: the world is roughly the same as it’s always been, but we see the bad parts more frequently and more intensely than ever before. What has that produced? Well, sure, it helped produce Donald Trump. There’s a downside to everything. But what it’s also produced is far more awareness of all those dark corners of the world. And while that may be depressing as hell, that awareness in turn has produced #MeToo. It’s produced #BlackLivesMatter. It’s produced a rebellion among the young. It’s produced the #Resistance. It’s produced more awareness of extreme weather events. It’s produced an entire genre of journalism, the health care horror story, that in turn has produced a growing acceptance that we need something better. I could go on, but the point I want to make is simple: . . .
he Interior Department’s internal watchdog referred its investigation of Secretary Ryan Zinke to the Department of Justice (DOJ) more than two weeks ago, just days before it was announced that Interior would be getting a Trump political appointee to replace its acting inspector general, two sources confirmed to The Hill. Ben Carson, head of the Department of Housing and Urban Development (HUD), told his staff on Oct. 12 that Suzanne Tufts would be leaving HUD to replace Interior’s longtime acting inspector general (IG) Mary Kendall — after the watchdog referred its probe to DOJ, according to two government sources with knowledge of the timeline. One source described the timing as “incredibly circumspect” and raised questions about whether the plan to have Tufts fill a position traditionally occupied by a career staffer was in reaction to the investigation that was referred to DOJ. “That is exactly what we were concerned about two weeks ago,” said Elizabeth Hempowicz, director of policy at the Project on Government Oversight. Tufts would have overseen all investigations at Interior, including at least four known open investigations into Zinke, and she would have been authorized to end investigations that were already underway. The watchdog’s investigations, once referred to DOJ, remain ongoing, meaning Tufts would have had some influence over the one sent to DOJ shortly before her move was announced. The specific nature of the investigation into Zinke, referred to the DOJ and reported this week, has not been made public. A week after Carson emailed staff about Tufts’s planned departure, HUD announced that she was not joining Interior and had instead resigned. The housing agency chalked it up to a miscommunication. DOJ is not commenting on the matter. HUD and the Interior Department did not immediately respond on Wednesday to requests for comment from The Hill. Earlier this month Interior’s Office of Inspector General released a report that said Zinke had violated department travel policies by bringing his family members in government-owned vehicles. The investigation also said Zinke and his wife brought a Park Police security detail on a vacation, costing more than $25,000, though there was no policy prohibiting it. After investigators started looking into the issue, Interior changed the travel policy to allow family members on official trips. Other investigations the IG is looking into include a real estate deal Zinke was reportedly poised to benefit from financially that’s backed by the chairman of oil services giant Halliburton in the secretary’s hometown of Whitefish, Mont., and a decision Zinke made last year to not approve a casino project in Connecticut following heavy lobbying from competing casino giant MGM. IG is required to establish legal grounds for a case, criminal or civil, before referring matters to the DOJ. The watchdog is also required to refer cases to DOJ when it has reasonable grounds to believe there is a violation of federal criminal law. DOJ is not obligated to take up every case it receives. . . This election is important. If the Democrats hold a majority of the House, Zinke’s conduct can be investigated through hearings. The GOP House members do not take their responsibilities seriously. Organism 46-B was an enormous 33ft (10m) long, 14-tentacled squid-like creature which lived in Lake Vostok, a subglacial lake located under two miles of ice beneath Vostok Station in the Antarctic. The animal had limbs which were animate and aggressive even after amputation, could release a toxin into the water to immobilise its prey from a distance of up to 150 feet, displayed an astonishing degree of shapeshifting, and showed a considerable degree of both hostility and intelligence. An imaginary dreadful creature is just right, and the soap and its fragrance are excellent: “Scent Notes of burnt sugar – bitter orange – brandy – Hedione – tobacco absolute – benzoin resin – ambergris.” An unusal fragrance, but very pleasant. 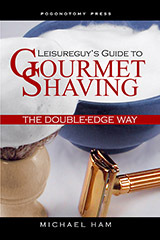 Mr Pomp made a terrific lather, and my RazoRock stainless Mambe delivered a perfect shave. 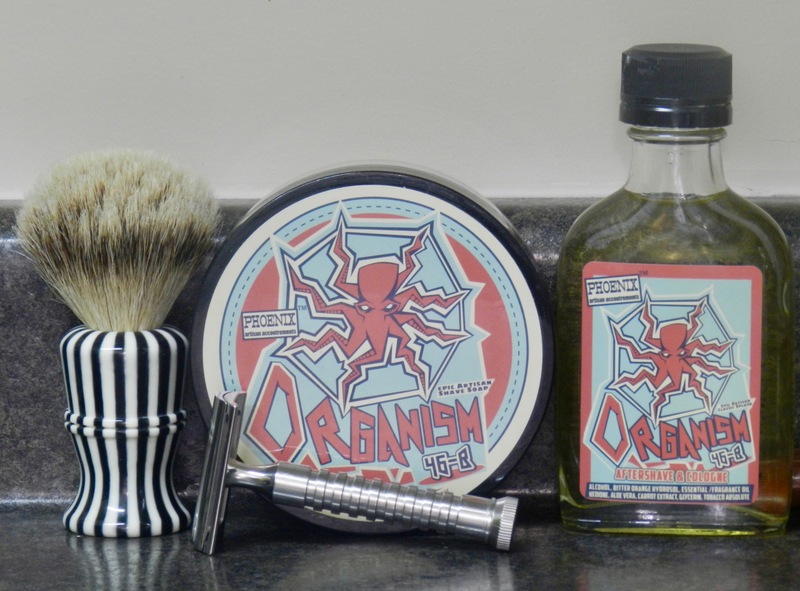 A splash of Organism 46-B aftershave, and I’m ready for the day (and evening). John Muller steered his tractor left onto Main Street, four Atlantic Giant pumpkins in tow, and thousands of people at the pumpkin parade screamed with delight. They are determined to stop “Farmer John,” even if it means putting him — and his pumpkin patch — out of business. For California farmers — many struggling like the Mullers — the state’s legalization of marijuana has offered the prospect of raising a lucrative crop that could keep them on their land. They must first win the approval of their communities, and the debate dividing Half Moon Bay has also paralyzed other parts of the state. In a city that calls itself the World Pumpkin Capital, losing the Mullers’ pumpkins could be a devastating turn of events. Their iconic roadside plot draws wealthy visitors from San Francisco and Silicon Valley for more than a month each autumn. The Mullers grow 60 varieties of pumpkins, gourds and squash, including Cinderellas, Fairytales and Tonda Padanas. They plant 80,000 seeds each spring, and each seed can produce up to four pumpkins. Harvest takes one month, and then the pumpkins are sold at a plot called Farmer John’s Pumpkins on the Pacific Coast Highway, where visitors can see the ocean peeking across a crest of trees. Shortly after that vote, Muller was approached by Eric Hollister, a chef and acquaintance from the local farmers market. Hollister wanted to refurbish the Mullers’ dilapidated greenhouses, grow cannabis “starts” — young, non-flowered plants — and market the products to individual consumers and other commercial growers. Because the plants would be “starts,” they wouldn’t have an intense odor and could not be immediately used as recreational marijuana. For struggling pumpkin farmers, Hollister’s offer made it appear their financial rescue was imminent. And it nearly was. . .